Pipe relining is a fast and permanent blocked drain fix. Broken pipe? Tree root infested drain? Backed up sewer? Forget digging them up and replacing. Now, you can reline them, with no mess and without the expense of reinstating landscaping, paving, tiling or retaining walls. Best of all, it’s actually stronger and longer lasting than a brand new PVC pipe, and it is guaranteed for 20 years. There are several pipe relining solutions available in the Australian market. After extensive research, we chose the Brawoliner inversion system from Germany as we believe it to be the best product in the market. Find out more about Brawoliner. 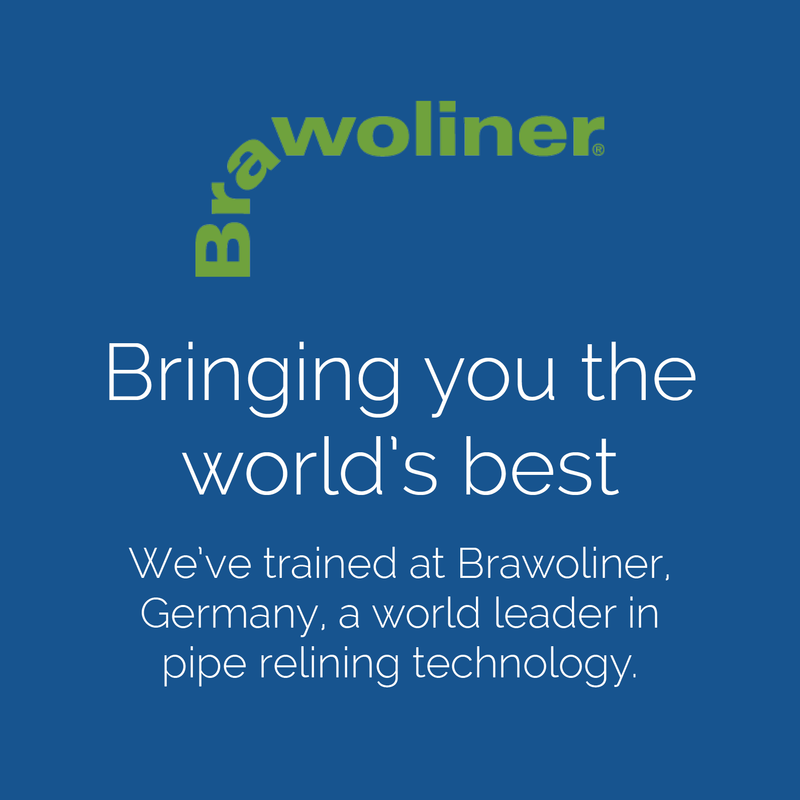 Fluid H2O has trained at the Brawoliner factory in Germany and we have also undergone extensive in-house training. We have performed hundreds of relines throughout the Sydney region and beyond for over 7 years. We reline the inside of the existing pipe with a flexible woven material that is impregnated with epoxy resin. During the inversion process the resin adheres to the inside of the pipe and sets to form a tough, durable, water-tight liner eliminating the potential for a future blocked drain. See here for more details on how pipe relining works. Economical – You save on the cost, time and hassle of re-paving your driveway, re-building a retaining wall, re-tiling your bathroom or restoring your landscaping. Long Life Product – Relined pipes are stronger than PVC pipes, will eliminate root penetration and have a life expectancy of 50 years. Quick Installation – We can repair pipes in one day. Minimal Disruption – We can complete jobs without the mess and noise of excavation. 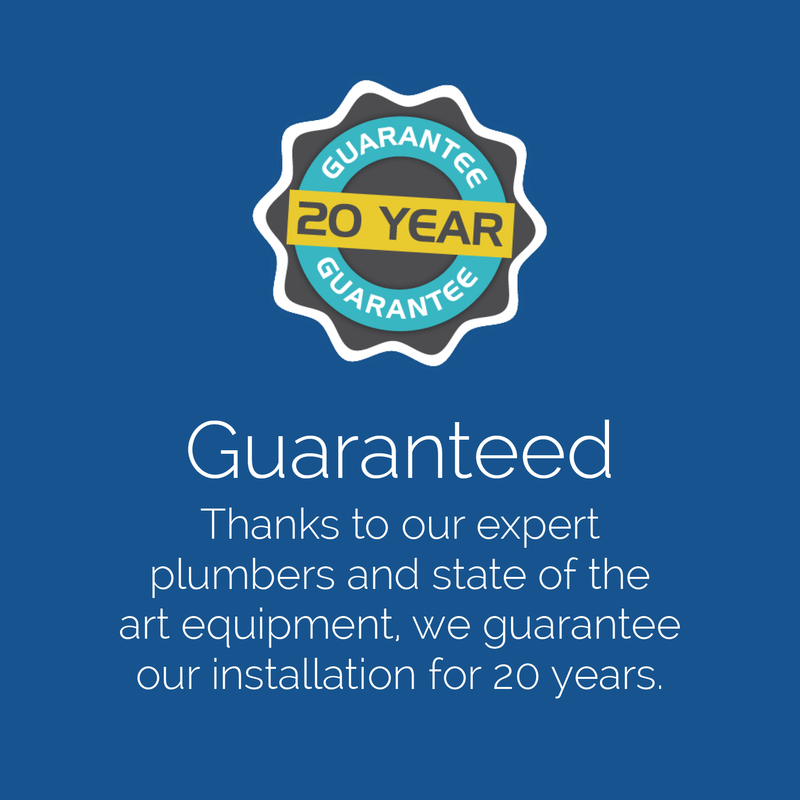 Peace of Mind – Feel more secure with a 20 year installation guarantee for relined pipes. If you have a plumbing emergency or need further information about our pipe relining services please call 1300 358 434 or contact us here. Take control of your drains and get a quote today!